"FAMILY," the book + FREE technical booklet "FAMILY, step by step"
The hard cover edition is offered in English, Spanish & French. ENJOY! Discover our vast collection of 170 hairstyles for every member of the family from leading world stylists. LEARN! 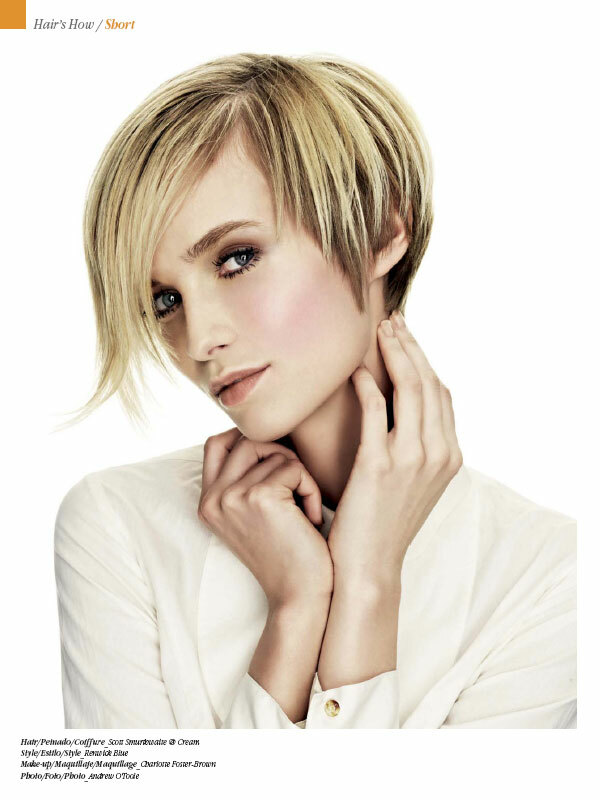 Our complementary "FAMILY" Step-by-Step booklet interprets the latest styles featured in the "FAMILY Hairstyles" book. 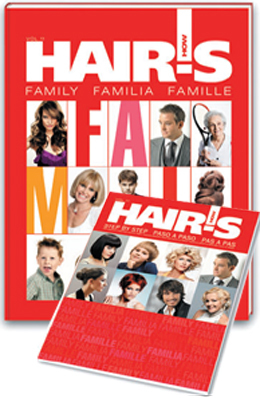 This comprehensive "FAMILY" book, which features 170 hot hairstyles, joins HAIR's HOW's series of styling books. Now you can help every member of the family find an ideal style to suit their preferences. Inside, you'll find cutting-edge styles for men or women, as well as styles for any age group, hair length or type. 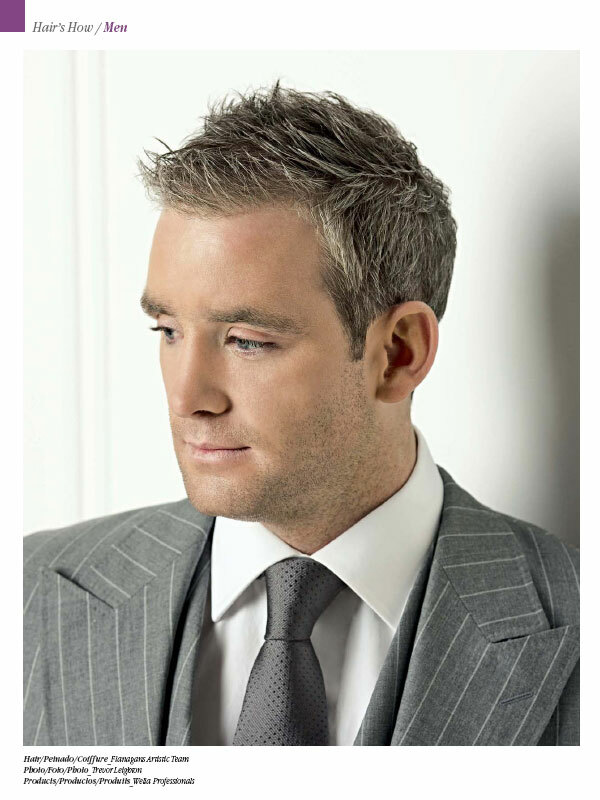 This vast selection of styles is conveniently sectioned for Short, Medium and Long hair, Evening styles, Men, Matures and Kids. ● 170 Hairstyles for every member of the family from leading world stylists. 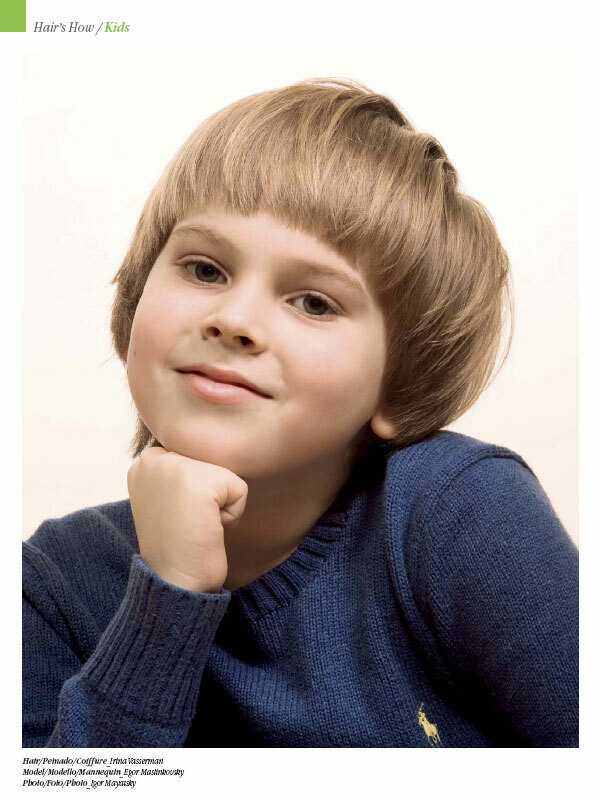 ● Format 10" x 13 1/2"
FREE pull out technical booklet "FAMILY, step by step"
This handy instructional booklet was designed to accompany the "Family" book, and aims to assist stylists in interpreting some of the chic styles featured there. Directors of Education! Boost Your School's Income! Special School Pricing on HAIR's HOW Styling Educational Books! A stronger curriculum that is trend focused will undoubtedly increase student enrollment. Boost your school's income! Attract more students by offering your aspiring talent a truly valuable educational book. Keep students on the cutting edge of trends while boosting their long-term income potential. Take advantage of HAIR's HOW volume incentive discounts to boost your bottom line! Provide your students with a valuable resource tool to boost their careers while building an ongoing profit center for your school. 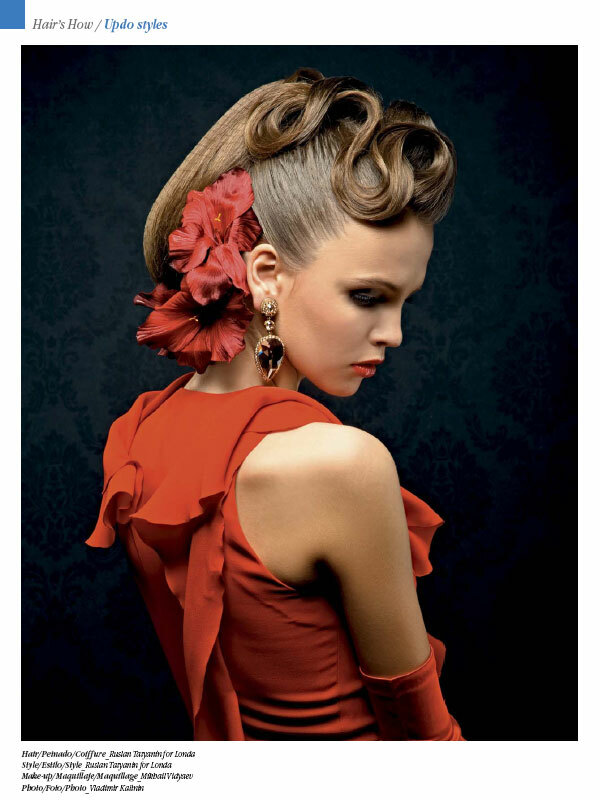 World-Class Hair & Beauty Magazine, Hair Style How-To Books & DVDs, Free Hair Style Gallery. New hair ideas. Best haircuts and styling tricks. 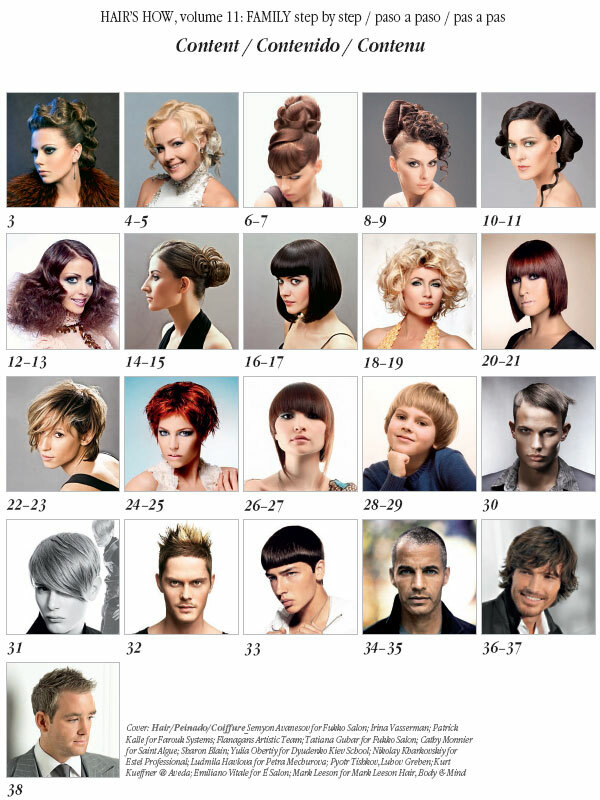 Step-by-Step How-to hairstyle Guide. Most popular celebrity haircuts and how to get them. Expert advice on beauty and fashion.